The Millennial* generation is especially keen to tackle an ambitious range of do-it-yourself (DIY) jobs, ranging from changing a light fitting to complete house extensions. Around one in five say they will happily tackle electrical wiring at home. They say that DIY is a ‘creative outlet’ for them and they find their inspiration on social media sites like Instagram and You Tube. However, according to the Royal Society for the Prevention of Accidents, about 220,000 DIY enthusiasts end up in hospital every year. While equipment such as ladders, saws and hammers accounts for more than 60,000 of these incidents there are some jobs that need a professional. Electrical Safety First has found that almost half of Millennials (48%) would consider taking on electrical DIY themselves. However, checking out how to do electrical installation on the internet could be a recipe for disaster. Every year around 70 people die due to electrical accidents in the home. In a survey of registered electricians, a third said that they had been called in to fix problems where someone had received an electric shock, thanks to amateur electrical installations. Equally worrying, around 15% said that DIY electrics had caused electrical fires. And the costs can be significant too. Insurers Towergate say that about one in five DIY enthusiasts eventually need professional help to fix problems caused by inexpertly completed work. 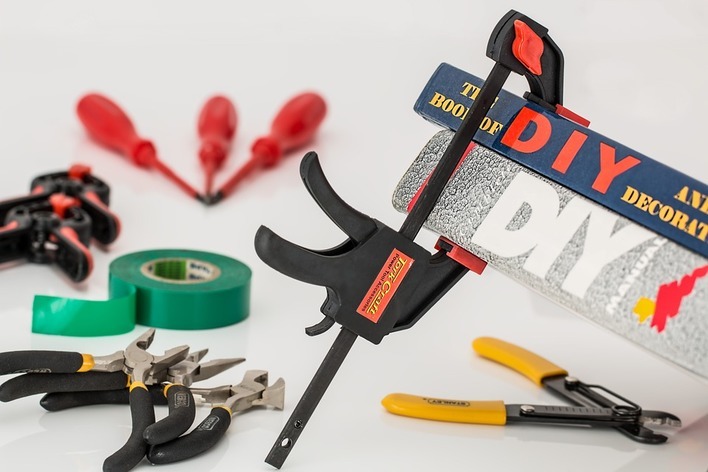 The cost of sorting out problems for ambitious Millennial DIY projects is, on average, about 25% more expensive, at £4,000, compared with a national average of £3,000. 1. A common DIY mistake is accidentally drilling, nailing or screwing things into cables inside your walls. A quality cable detector can help you to track buried cables before you start work. 2. An RCD (residual current device) can save your life by cutting off the power in the event of an electrical fault. Make sure you have one fitted in your fusebox (consumer unit) and, where necessary, use a plug-in RCD. 3. If you're working near electrical wiring or power supplies shut off the power in your fusebox and use battery powered tools. 4. Check that the leads and plugs for your power tools are in good condition. Be careful with the power lead to make sure you don't accidentally cut through or trip over it. 5. If you’re in any doubt, take the advice of a professional. Get in touch, we’ll be happy to answer your questions. *for the sake of argument, people born after 1982.